The testing involved in Facility Utility pure steam validation requires a continuous supply of saturated steam; preferably sourced from the actual line that supplies your sterilization systems. Too high a level of non-condensible gases will prevent the attainment of sterilization; too little moisture carried in suspension may allow the steam to become super-heated during expansion into the chamber, while excess moisture may cause damp loads. Where steam systems are either routinely or irregularly shut down, large quantities of air will be present in the distribution system on restarting. It is recommended that in such circumstances a comprehensive and validated venting procedure should be applied and testing steam quality should be routinely executed. Why Steam Quality Test is require? • To qualify plant/utility/clean/pure steam generators, steam distribution systems and steam supplies to autoclaves in accordance with cGMP (Orange Guide), HTM 01, HTM 2010: 1994, HTM 2031: 1997, EN 285: 2006, AAMI ST79, ISO 14937:2000, ISPE Baseline Guide for Steam and Water and PDA Technical Reports No. 1 & 48. • To test your physical steam quality with assured and repeatable results in no time at all. • To satisfy your Regulator/QA immediately! Non-condensible gases originate from the water that the steam is generated from. These gases will usually be air, although carbon dioxide may be present, caused by certain water treatment processes, typically water softeners. This is exacerbated by excessive aeration that can exist in many pharmaceutical water treatment plants where water is constantly recirculated and sprayed into the top of storage vessels. 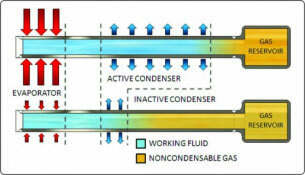 The effect of such gases being present in the steam supply to a sterilizer can be the same as air, none sterilization of the volume they occupy. Superheated steam is steam at a temperature above its boiling point for its pressure. Superheated steam is a clear colour-less gas that will not condense until its temperature drops to its boiling point. Until this occurs the moisture necessary for sterilization cannot be produced and therefore presents a risk to the process. Superheated steam acts as hot air and requires sustained high temperatures and long hold times before sterilization can occur. It is essential in facility utility pure steam validation to verify that the steam being tested is not superheated. Wet steam is undesirable as it has less energy than dry steam and more importantly can cause wet loads. The packaging used for sterile products prevents reinfection when dry, but its bacterial retentive properties will be adversely affected by the presence of moisture. Wet loads can be considered to be un-sterile. The dryness fraction describes how dry steam is, with a value of 1 representing steam that is 100% dry and therefore free of entrained moisture. Steam with a dryness fraction of 0.99 consists of 99&percnt; steam and 1&percnt; water. If we measure the latent heat present in steam that has a dryness fraction of 0.99 we will find that it possesses 99&percnt; of the full quotient of latent heat.